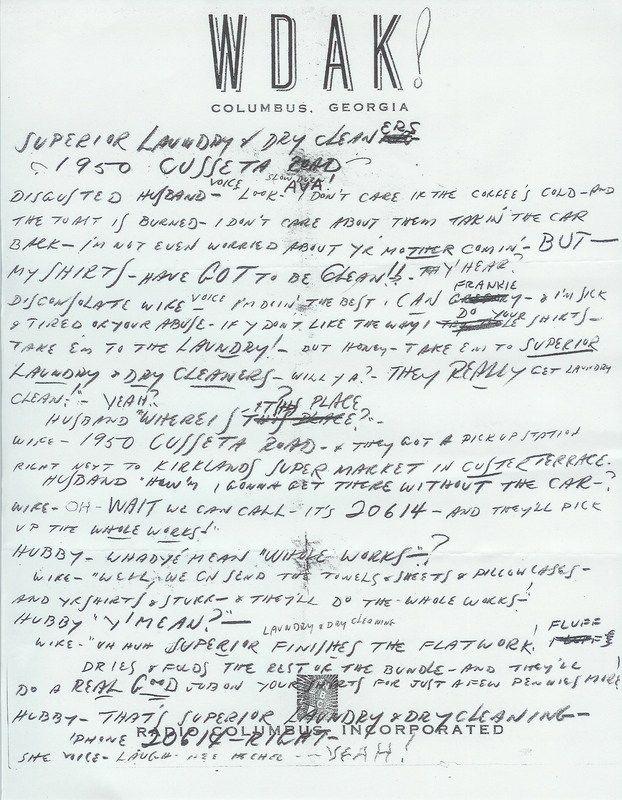 Announcers like Jimmy Deer at WDAK (Columbus) wrote and performed scripts advertising goods and services. At its very beginning, radio did not host advertisements. Soon, though, stations needed to find a source of revenue separate from those newspapers and universities that ran them. To do so, stations turned to “sponsors.” Companies could buy slots of time, generally in 15, 30, or 60 minute increments, that they would sponsor. The company would be in charge of filling that slot with whatever kind of programming they wished. 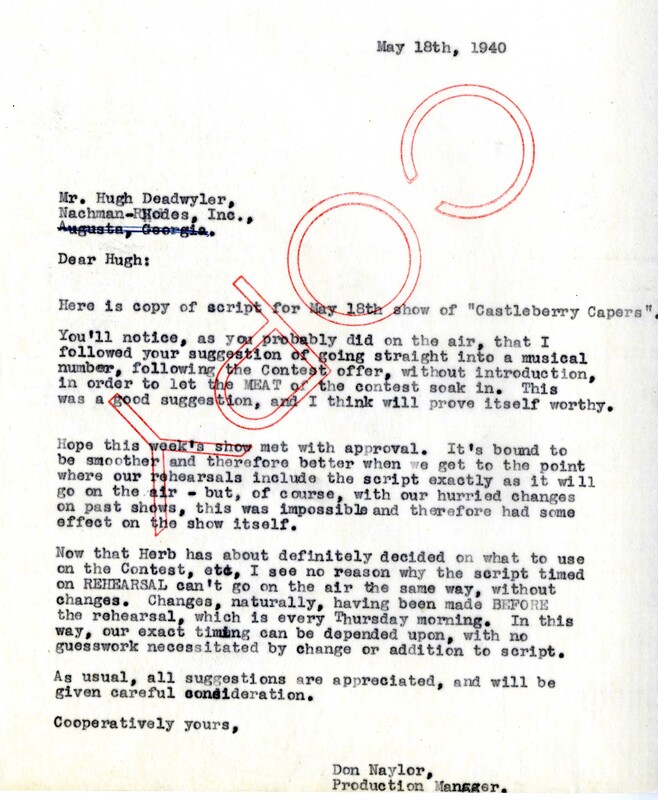 The advertisers had complete control over the radio schedule and content. 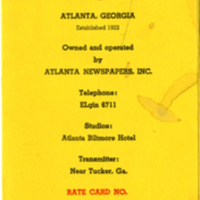 Radio was the only form of media that used this type of sponsorship for advertising. 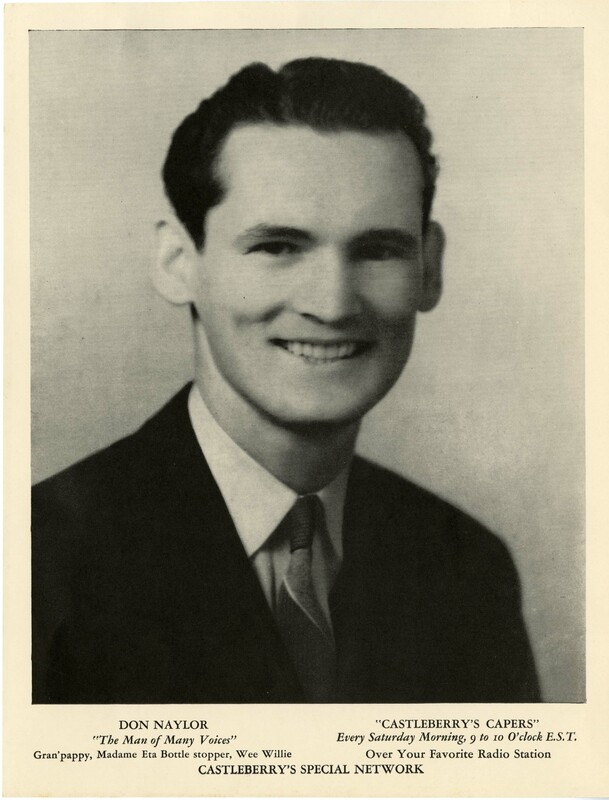 However, by the 1950s, stations began taking back control of their programming. 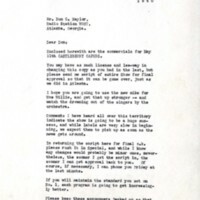 They transitioned to a “magazine plan” of advertising, in which specific short slots of advertising were sold within a program. 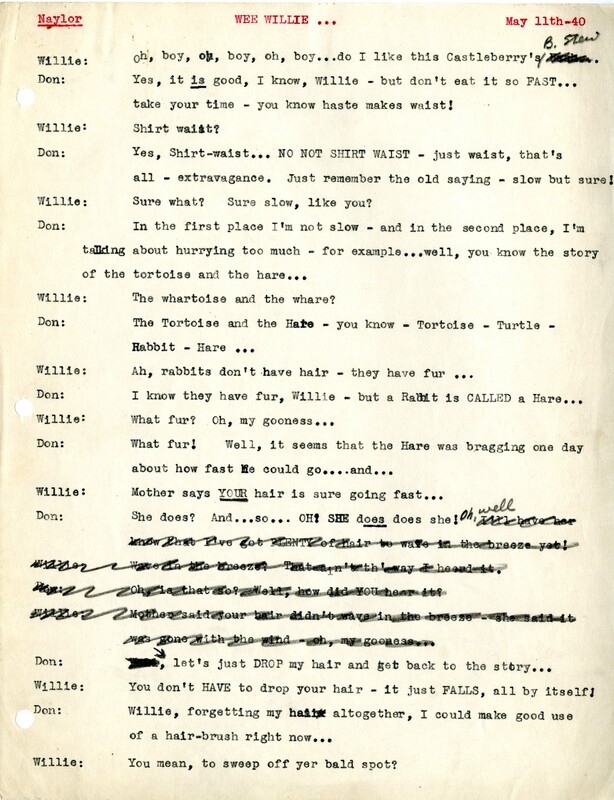 In this plan, the station, not the advertisers, had control over the content and schedule of their stations. This should seem familiar, as it is the way most radio advertising is done today. 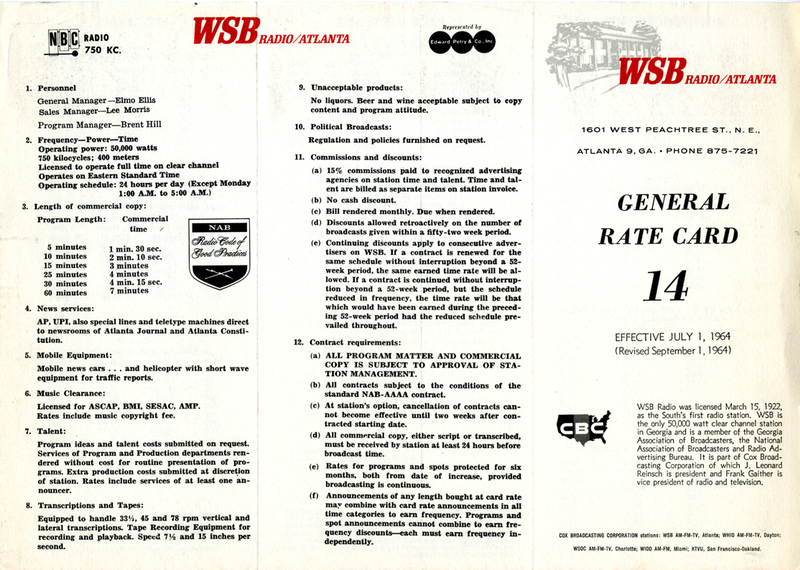 In 1952, WSB was still transitioning from sponsor control to station control. Though sponsors could buy slots of time, the station had to approve all programming. 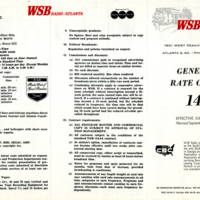 By 1964, stations sold 10-60 second slots of advertising within their scheduled programming. 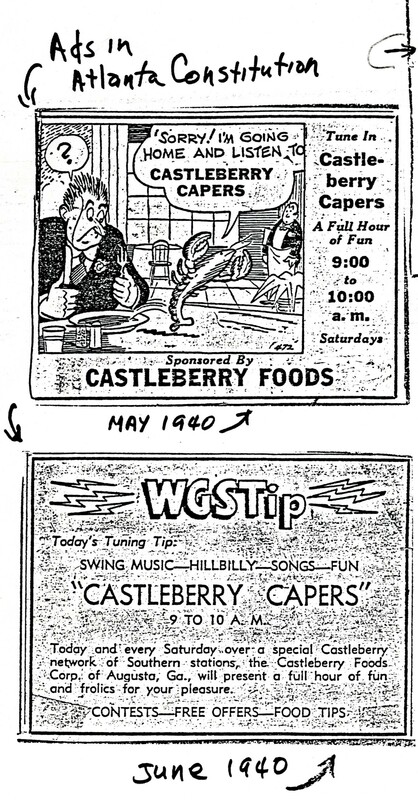 Castleberry Capers, a radio show sponsored by Castleberry Foods Corp., debuted on WGST (Atlanta) in the summer of 1940. 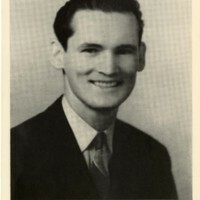 Don Naylor, “The Man of Many Voices,” not only performed many of the characters on the show - he also handled production, script editing,music, and correspondence with Castleberry’s advertising company. 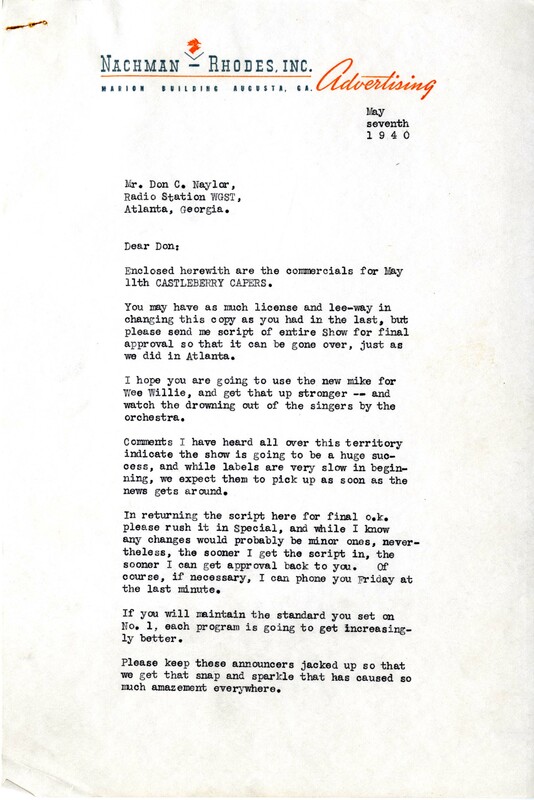 The sponsor had final say in all scripts for their shows. 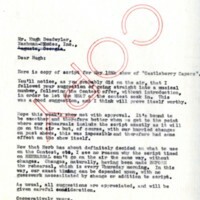 Here, Castleberry’s advertising company requested a copy of script changes for approval before broadcast and made suggestions for changes to the production. 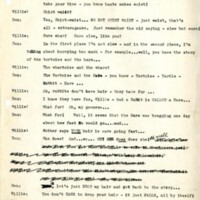 Meeting the sponsor’s demands could leave broadcasters scrambling, especially when script changes came at the last minute. 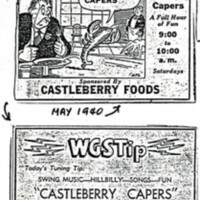 Advertising was incorporated directly into the radio programs. 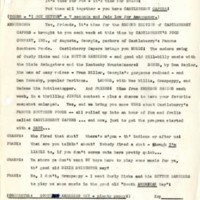 The time spent promoting the sponsor’s products could far exceed that spent on the entertainment portions of the show. 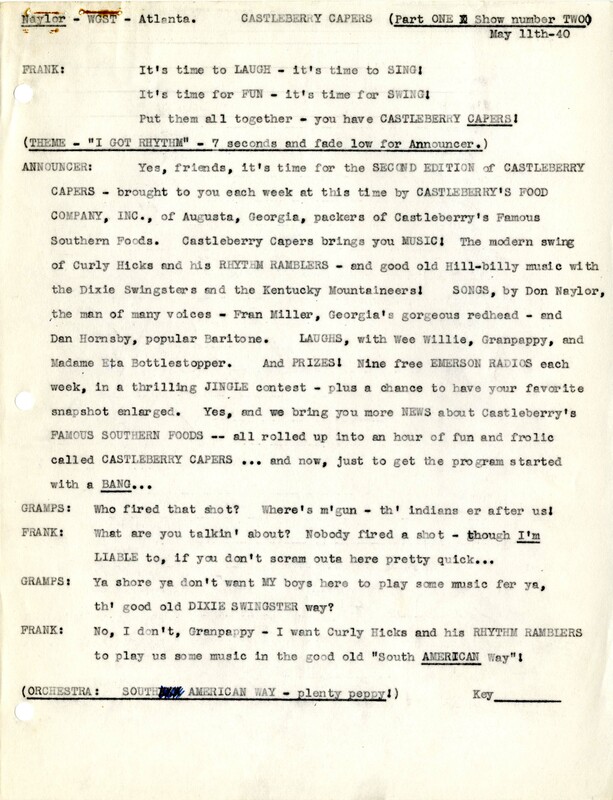 Even in this comedic sketch, Castleberry Food’s brunswick stew makes an appearance.